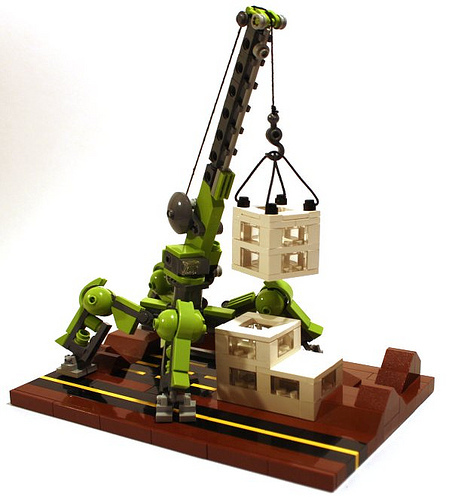 Mega-micro mecha crane – and it’s green! The recent spate of unarmed mecha is a result of the Mecha Hub Civilian Mecha Contest on Flickr. Kyle Vrieze (bermudafreze) has built a pair of my favorites. 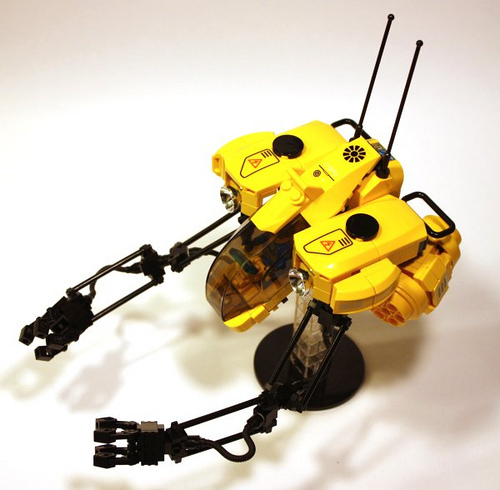 See more great entries in the Civilian Mecha Contest thread.